The man was transported to a local medical center for mental health treatment on June 12. 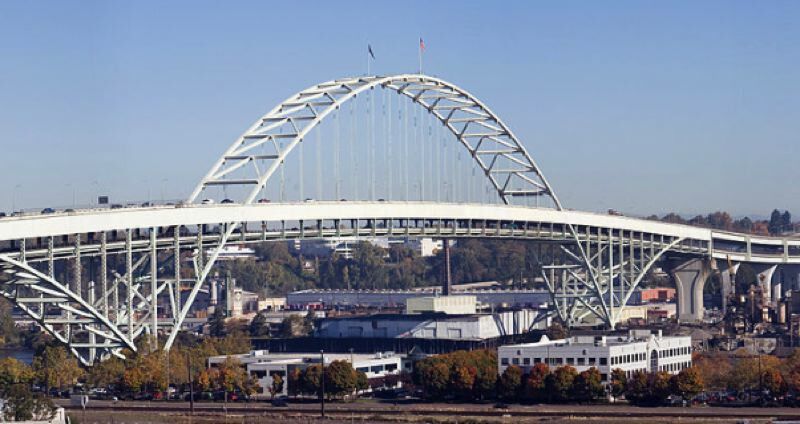 A man preparing to jump off the Fremont Bridge has been saved, police say. Specially-trained crisis negotiators rushed to bridge around 1:10 p.m. on Tuesday, June 12, after Portland Police received reports of a possible jumper standing on the railing of the top deck. After approximately 150 minutes of negotiations, the authorities convinced the man to move away from the ledge and step into an ambulance. The man was transported to a local medical facility for mental health treatment, police say. All lanes of the bridge are now open. "Help is available for community members struggling from a mental health crisis and/or suicidal thoughts," a news release reports. "Suicide is preventable." Anyone struggling with thoughts of self-harm is encouraged to call the 24-hour Lines for Life helpline at 1-800-273-TALK (8255).